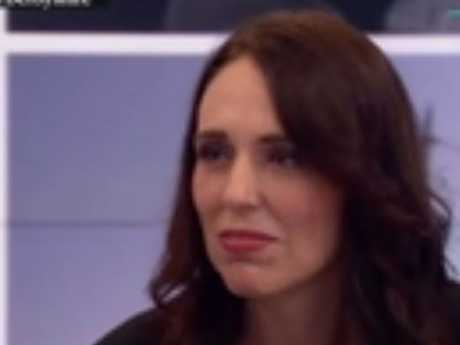 Jacinda Ardern seemed surprised by a particular BBC interviewer’s question. New Zealand Prime Minister Jacinda Ardern has fended off many unwanted questions since her rapid rise to power and unexpected pregnancy - and a new BBC interview was no exception. The 38-year-old leader is on a tour of the United Kingdom and Europe, where she has met Theresa May and held a private meeting with Meghan Markle at Kensington Palace, and also sat down with the BBC for an interview about a number of topics, including Brexit and NZ's hopes of a free trade deal with the UK when it eventually leaves the European Union. 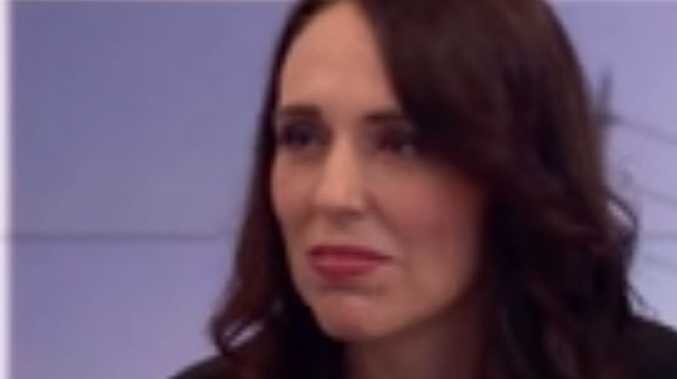 Then the female interviewer, Victoria Derbyshire, asked Ms Ardern if she had plans to ask her partner Clarke Gayford, a fishing show host, to marry her. The prime minister laughed loudly at the question and seemed surprise. "No I would not ask, no," she told Derbyshire, who persisted by then asking her about her feminist credentials. "You're a feminist?" she asked. She’s the PM of New Zealand. How is this a relevant question? No male leader would be asked this on a supposed news channel. "Oh absolutely, absolutely I am a feminist. But no, I want to put him through the pain and torture of having to agonise about that question himself, that's letting him off the hook, absolutely not," Ardern said. Derbyshire then said, "Ok fair enough, we await that day." The #primeminister of #newzealand and yet you still ask her about #family life; and question if shes a #feminist. SHES RUNNING A COUNTRY, surely thats enough #feminist for anyone? Shame on you @vicderbyshire and well done @jacindaardern to dealing with this with grace and humour. A New Zealand political commentator told The Guardian Ms Ardern seemed surprised by the question and it was strange to question her stance on feminism. "Such a question is actually very surprising, and the prime minister's reaction suggested that she was entirely surprised by it," Mr Edwards said. "Certainly a lot of New Zealanders would see such probing of the prime minister about her relationship with her partner and her plans for marriage as being inappropriate." Some who watched the interview took to social media to note it would be unusual to have a male politician asked the same questions. Ms Ardern was also asked if she felt "guilt" about balancing her role as a Mum and also as a prime minister. It isn't the first time she has had to endure questions about her personal life. In 2017, after she was suddenly promoted to Labour leader right before a general election, she clashed with a breakfast television show host in New Zealand who said women should have to tell their employers they were considering having children. "You ... it is totally unacceptable in 2017 to say that women should have to answer that question in the workplace", she told the presenter, although she said she was in a different situation as she "opened myself up to it". Then last year veteran Australian journalist Charles Wooley raised eyebrows with his cringe worthy 60 Minutes profile of the new leader. "I've met a lot of prime ministers in my time, but none too young and not so many so smart, and never one so attractive," Wooley's introduction said. Ms Ardern and Mr Gayford with their daughter Neve on the day she left hospital. Later in the interview, he said to the young PM, "One really important political question that I want to ask you, and that is, what exactly is the date that the baby's due?" After being told it was June 17, he added it was "interesting how much people have been counting back to the conception, as it were". He then asked when the baby was conceived and if it had happened during the election campaign. Ms Ardern stunned the political world by saving NZ Labour from a landslide and then defied expectations by forming a coalition with a centrist party with the support of the Greens to win the 2017 election. She announced she was pregnant a few months later and last June gave birth to a baby girl, Neve Te Aroha Gayford, becoming just the second world leader to give birth in office. News A middle aged man was airlifted following the incident. News Hundreds hit the course for the Harbour Festival fun run.